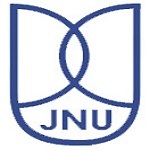 JNU 2019 Admit Card will be released on 10th May 2019. Candidates will download the admit card from the official website. JNU Entrance Exam (JNUEE) is conducted every year. It is a university level entrance exam which is conducted by NTA from 2019. The university offers UG, PG and Ph.d courses in various professional fields. Candidates those seeking admission into the university, must have to appear in the written examination. In this article candidates can get the complete information related to the JNU Admit Card 2019. Candidates have to bring the JNU Hall Ticket 2019 along with the one photo identity proof. Candidates have to carry the admit card along with a photocopy of latest passport size photograph to the test centre. Without a valid admit card, no candidate will be allowed to enter in the examination hall by the invigilator. The admit card comprises of the candidate’s name, father’s name, roll number, exam date & exam time, venue of the examination, etc. The admit cards can be accessed through the online mode before the last date. JNU online examination will be held on 27th, 28th, 29th & 30th, 31st May 2019. JNU Admit Card 2019 will be released on 10th May 2019. On the basis of exam, the JNU result will be announced in June 2019. Candidates those selected for the counselling rounds will be called as per their ranks. It is the important document to sit in the examination hall. The counselling procedure will start from June 2019. You will reach the university home page. You have to enter Application Number and Password. Check the admit card details and take the extra printout of it. Preserve the photo copy admit card for further process. The hard copy of the admit card will not be sent to the candidates individually. It can be downloaded only through the online mode. The exam centre and exam date & time will be mentioned on the admit card. So, candidate should verify them carefully. In case, candidates will forget their application number, then they can get it by entering their name or date of birth. In case of any discrepancy find in the admit card, it should be immediately bring to the notice of JNU authority. Candidates are strictly advised do not bring any kind of study material or mobile phones or electronic watch in the examination hall. Keep extra printouts of the admit card in case one will be missed or lost. If you have any other query regarding JNU 2019 Admit Card, you can write your queries in the given below comment box. MA hindi ke liya sc/st cast ke entrance Mark’s kitna lete he..
For pg courses !!???? Did the admission process closed ?? Has the registration been closed? When will be the link to the application form br available?? We will update in our article when it will be available. When will the admission form be available? I don’t find any portal to fillup the admission form of jnu.. The exam dates have been released. The application dates will be released soon. Around at what date will the application form release? There is no fix date is announced yet. The details of course name is not shown fully …its partially written …. What is the last date of downloading admit card?? Sir mera application number and form 2no nhi h bs gmail yad h ..sir mera gmail se admit card nhi nikl rha h ..so some help me ….. I am not able to login. It shows “please provide valid details”. So what should I do now? put your application number and password. Sir I forgot my JNU password. What I have to do? Just try to get it from your email. Otherwise contact the official authorities. You have to contact the official authority. You should check your application number into your mail Id. May you will find it there. my application got rejected or what ? You should contact the official authority. I can’t download the admit card……plz help me…. This is due to technical issues, it will be resolved soon. This is due to technical issue. IN FACT LINK HAS NOT BEEN ACTIVATED COMPREHENSIVELY THEREFORE MAY HAVE TO WAIT 2 TO 3 DAYS MORE BECAUSE I’M ALSO WITNESING SAME PROBLEM BUT ONE OF MY JNU’S FRIEND INFORMED ME IN SUCH MANNER. No need to wait more. The problem has been solved. Now get your admit card immediately. Error showing on my site I have not received my admit card . No it is all ok. check again. I had signed up to jnu mca and completed the application. But now I’m unable to download admit card. When I try to download admit card all it showing is an sql error message something like ‘/ ADMIT_NEW ERROR’. Is that the site problem or Was my application rejected? it was site issue. Now it is released properly. Check again. I cannot able to get my hall ticket please kindly send me link by which I can download my hall ticket..
latest link has been updated in the article. Now check again. there’s an server error in the page when am trying to enter the admit portal . I login my account, but no admit card download option there. kindly let me know how can I download my admit card. My application No.1158015704. HOW COULD I DOWNLOAD MY ADMIT CARD WHENEVER I CLICK ON SEARCH BUTTON IT DISPLAYS ERROR IF ANYBODY WILL DOWNLOAD PLEASE COMMENT HOW HE/SHE MANAGED TO DOWNLOAD IT. This was a technical issue. Now it is resolved. Try again. I’m not able to download my admit card. Please help me. I am not able to download admit card. I can’t download my admit card of JNUEE. No details found in website regarding admit card of 2018-19 exam. Admit card is released or will be released?? this admit card not showing in my login account. i was applyed PHD history form. plese cheak my account and help me. thank you. The link to download the admit card will be activated soon. My admit card is not showing after login.Only application status displayed on the screen.